The 8X Zoom Scope is a weapon attachment used to provide magnification for long-range targets. When applied to eligible weapons, aiming down the sights with the weapon will instead use a four-times magnified crosshair. 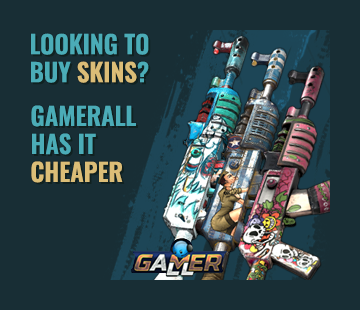 It is useful for allowing players to extend the maximum range of their guns, and especially useful on accurate weapons like the Bolt-Action Rifle. 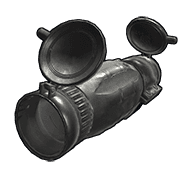 The 4x scope is a situational attachment, due to its high cost of 50 HQ it is not crafted often. Though the scope reduces recoil, this has no effect on pattern weapons for now. It is also important to note the 4x will make using fast firing guns harder, especially at closer ranges. This is due to the lower sensitivity which makes shooting at further distances easier. The only weapons worth using this attachment are the Assault Rifle, Bolt, And M249 as these are the most effective weapons at long distances. A Lasersight is a great mod to use with the 4x scope because of the reduced aim sway making long shots easier to hit.